THC-V (tetrahydrocannabivarin) is a lesser-known cannabinoid only found in some strains of cannabis. 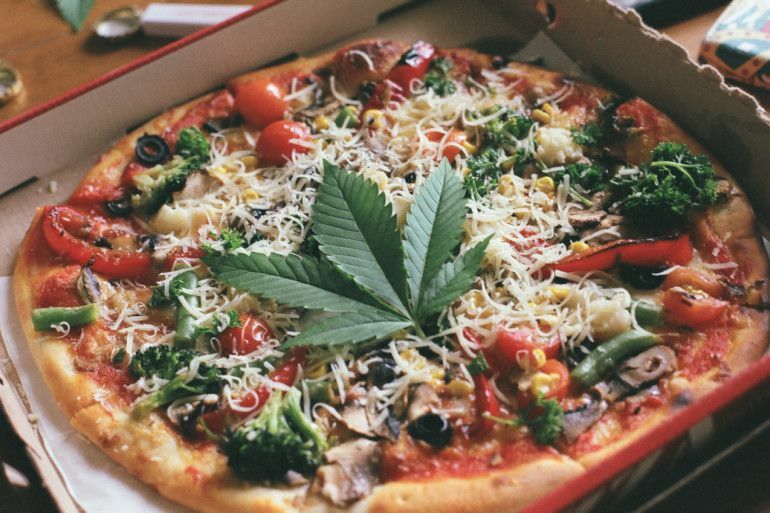 Although similar to THC, the slight variation produces very different effects such as a reduction in panic attacks, promotion of bone growth, and the reason you are reading this article – the suppression of appetite. This strain originates from the South African Port of Durban. You can expect uplifting, energetic effects from this sativa. The high levels of THC-V will definitely suppress your appetite and allow you more time to utilize the burst of creativity you will receive. Jack the Ripper gets its name from the late 19th century London serial killer who was known to mutilate female prostitutes who worked in the slums of London. Don’t worry, you are not going to become a serial killer from smoking this strain, but this sativa does hit you with a heavy cerebral high that is great from daytime tasks. It allows for an even balance between energy and relaxation along with limiting the amount of munchies that you will want to ingest. Dutch Treat is climbing in popularity amongst Amsterdam coffee shops. You are welcomed with the fresh scent of eucalyptus followed by a strong sweet and earthly flavor. This indica-hybrid gives you a very intense body high coupled with a mellow, euphoric head high. Many users prefer this strain because it assists in leveling out their anxiety and pain. You can expect a relatively high amount of THC-V in Dutch Treat. The Skunk strains are definitely one of the most popular strains worldwide. The lineage of Skunk dates all the way back to the early 70’s with a group of cannabis breeders known as Sacred Seeds, led by Sam Skunkman. Skunk cannabis was a hybrid between Colombian Gold and Acapulco Gold and has developed into a long line of potent cannabis strains over the years. You can expect a pungent, earthy smell.. like a skunk. But be prepared to feel happy, euphoric, and an increased vibrancy in the world around you. Who has time for the munchies when you’re floating across Cloud 9? These are a few of our personal favorites, but there a ton more strains that contain a high THC-V content. Be on the lookout if you happen to be in a dispensary. What if the munchies are just TOO strong? Your stomach is yelling at you to put something inside of it, so fill it up! You will be less likely to grab that bag of chips, plus water is extremely healthy for you. Sounds like a win-win situation. You might as well lean towards some healthier snacks if you need to snack on something. I also feel there is something special about eating something natural and juicy when you are high over foods that contain high levels of fat, salt, and sugar. Your stomach is crying out for help, but you don’t want to help it. Try sticking to chewing some gum or sucking on a mint. It will subside your urge to eat and you won’t have to worry about cotton mouth. Munchies may be the worst symptom you will ever get from smoking weed and there’s definitely nothing wrong with enjoying that moment of pure bliss, satisfying your hunger with that delicious sandwich you made. It sure has hell beats developing psychosis and jumping out of windows, according to Reefer Madness.